Goji is the darling of the berry world—exotic and nutrient dense with an antioxidant rating that is off the charts. Over the last few years, availability of this super-berry has become more common in the Western world. But consumers and government agencies alike are questioning the safety of goji berries since the majority are grown in China—a country infamous for its lax and corrupt food safety standards. 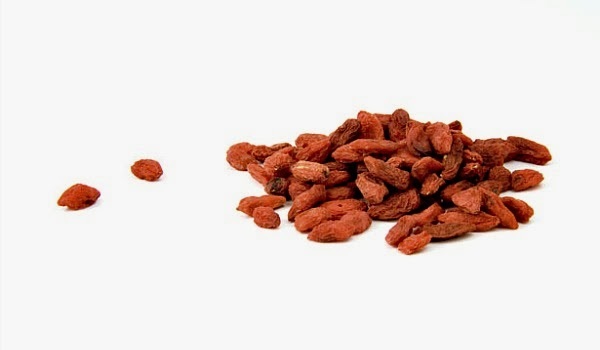 To make matters more complex, what is often touted as goji is actually a wolfberry, a similar yet different fruit. A classic case of “buyer beware,” individuals are urged to be attentive when purchasing goji products. Due to marketing ploys and misleading information, confusion surrounds the goji berry. It is first important to understand the difference between a wolfberry and authentic Tibetan lycium goji. Often, wolfberries are labeled as goji, which is inaccurate even though the berries are similar. In fact, between January 2007 and March 2009, 24 shipments of Chinese wolfberries (claiming to be goji) were refused by the the U.S. Food and Drug Administration (FDA) due to pesticide residue and other harmful impurities. Many were labeled ”organic.” Unfortunately, for every shipment of contaminated wolfberries stopped at the U.S. border, plenty more manage to slip across. True Tibetan goji is the queen of all lycium varieties. The antioxidant values (ORAC) are one of the highest of any food — helping to protect against aging, cancer and degenerative disease. Goji berries are rich in vitamins A, B and C, contain more protein than wheat and supply a variety of amino acids, including all 8 essential. The berries also support the immune system, improve eyesight, boost energy and reduce inflammation. For maximum health benefit and safety, it is best to buy from a reputable supplier who only sells goji berries specifically from Tibet. Additionally, the Tibetan Medicinal Plant Conservation Program was created to help protect the ancient art of cultivating true, organic goji. For more information, resources are available from the Tanaduk Botanical Research Institute of Tibetan Medicine.